Now, imagine the streams of people that enter that supermarket every day. Imagine the hustle and bustle of the aisles, the cash registers ringing, the customers streaming out pushing carts fully-laden with bags. Now, imagine only one in ten of those customers leaving had bought something. For every ten people walking out of the store, nine are pushing empty carts. It’s a strange picture — in the eyes of most of us, a business which only sold to one in ten of its visitors wouldn’t last long. Apart from a SaaS business. I use the supermarket analogy because it’s astoundingly common to see trial to paid conversion rates of ten percent, and many companies in the SaaS space consider ten percent to be a benchmark to aim for. That's despite the fact that trial users are highly-qualified users with significant intent and demonstrated trust in the brand. So in this post, I want to examine some of the research that’s been done on trial to paid, understand its limitations and suggest a way for SaaS businesses to reach for something a little more ambitious than losing nine in ten of their customers in the trial phase. It’s difficult to overstate the extent to which the SaaS business model has transformed business IT. SaaS has forever changed a space that was historically dominated by a handful of large companies, by democratizing access to tools and significantly lowering the barriers to entry, thereby increasing competition. Perhaps the biggest enabler of the lower barrier to entry for SaaS is the free trial. The SaaS ecosystem has exploded on the basis of convenience — if your company has a problem, there’s a solution out there, and you can begin implementing it in minutes. No sales reps, no servers, no software installation — the SaaS business is driven by instant gratification. This means your trial to paid ratio is more than a marketing metric — it's a signal of how successfully your business is navigating the B2B landscape, of how good your sales reps are and of the quality of your pipe. In short, something you should be paying attention to. What’s a good trial to paid ratio? Unfortunately, meta-analyses on this topic are rather dated. The most recent study which included a somewhat representative sample comes from Groove, from a survey conducted in 2013 with an impressive 1,500 respondents. According to Alex and the team, the average trial-to-customer conversion rate across all respondents was 11 percent — lower than a study from Totango published in 2012, which pegged the number at 15 percent for businesses without a credit card requirement, and 50 percent for business with a credit card requirement. So, is somewhere in the low teens the magic number? Actually, there’s plenty of anecdotal evidence to suggest that numbers for many B2B SaaS companies may be a lot lower. In an admirably transparent blog post here, Customer.io’s Colin Nederkoorn suggests that Customer.io was averaging six to ten percent conversion back in 2014. More recently, Erik Christiansen from lead capture platform Justuno blogs that they average ten percent with peaks as high as 18 percent. 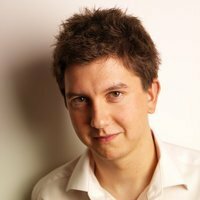 Christophe Primault at GetApp (an aggregator of SaaS software), pegs the best-in-class number at 15 percent (and often much lower) in this post, while well-known VC Christoph Janz suggests three to five percent. In another post, 3 Minute Optimizer founder Scotty Liem Truong posits 30-40 percent for trials with credit cards, and two to three percent for trails without. All of these answers chime with the well-publicized experience of Salesforce.com, which according to Nadim Hossain, managed a 3.75 percent trial-to-paid ratio, albeit back in 2006. That said, some companies appear to do a whole lot better. SEOMoz, for instance, averaged 56 percent of trials converting into paid memberships back in 2012, according to Rand Fishkin in this post. John Greathouse, of GoToMeeting, also claims a more positive number here, suggesting that 40-45 percent of trials would convert, assuming credit card information had been collected. Lincoln Murphy has even seen companies in the 80 percent upwards range, although he admits here that a rate of 25 percent is a lot higher than most companies have and urges a target of 25 percent to 50 percent. Note that we’re talking solely about SaaS businesses with a free trial here — freemium products naturally see far lower conversion rates. And I'm specifically referring to low or medium-priced SaaS offerings which don't follow a high-touch enterprise sales approach. My conversion rate is x percent. Is that too low? 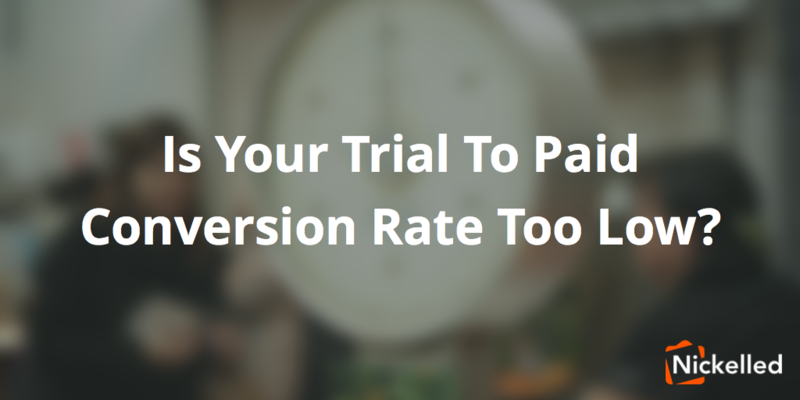 No matter what you made of the above data, whether you’re converting in the low single digits or at a Rand Fishkin-worthy 56 percent, your trial to paid rate is too low. It’s too low because this is a metric that you should always be improving, and always can improve. The examples above are too varied to be instructive in their numbers, but they do offer some valuable insight into how to improve your metric, no matter what it is. For instance, if you’re not taking credit card information up front at the start of a trial, the evidence suggests that you should be. Similarly, if you’re not offering concierge onboarding, Customer.io’s post suggests that it's probably worth a try. If you haven’t considered offering early upgrades before a trial ends, you might follow the example of Justano, who have also had good experiences with well-timed modals and quarterly pricing options. And even if you’ve optimized your upsell process with all of the above tactics and more, you can still move onto optimizing the quality of the leads which enter the process in the first place, which will likely increase your trial to paid ratio even more. If there’s one thing to take away from this diverse landscape and some of the studies referenced above, it’s that there is no consensus on the average. Therefore, SaaS businesses need to define their own targets, and they need to not be average. If you’re averaging one percent, shoot for two and then for five. If you’re average 50 percent, shoot for 60 percent and then 70 percent. Just remember the supermarket… And then visualize those customers walking out.